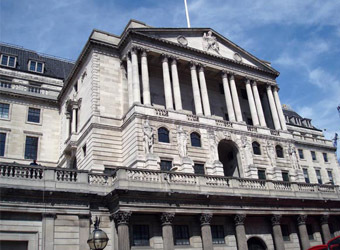 Analysts are divided on the coming year’s Bank of England forecast for interest rates and monetary policy changes. Amid a week of important economic data coming out of the U.K., the bank’s Monetary Policy Committee (MCP) meeting is expected to leave interest rates unchanged to support a fragile U.K. economy, despite mounting inflation. The question, then, is when a change might take place. “The market is not expecting any policy change on Thursday, not so soon after the first hike in November. Instead, the market will be looking for clues in the forward guidance for when, and if, the BOE will hike next,” Kallum Pickering, senior U.K. economist at Berenberg, told CNBC on Monday. The BOE raised interest rates for the first time in nearly a decade on November 2, voting to increase the benchmark rate from 0.25 percent to 0.5 percent as part of what it called a “gradual and limited” cycle to counter inflation. Economists broadly predict a 9-0 vote from the nine-member body on Thursday to hold interests rates and quantitative easing amid Brexit concerns, with very little, if any, reaction from the markets. The BOE is now under pressure to raise rates in the coming year as inflation hits a more than five-year high. The Office of National Statistics on Tuesday reported the headline consumer price index rate at 3.1 percent, its highest since March 2012 and well above the bank’s target inflation rate of 2 percent. Still, key economic conditions like substantial wage growth are lacking, and this along with continued uncertainty over a Brexit deal is likely what is holding the MPC back from pursuing a more hawkish policy. “I’d be amazed if (BOE Governor Mark Carney) does anything this month, so now we’re looking to February, April next year,” Sir John Gieve, a former BOE deputy governor, told CNBC on Tuesday. While the U.K. economy will need further gradual rate hikes over the medium-term to bring inflation back to the BOE’s 2 percent target, “another hike so soon after the first one would surprise markets and could trigger a sharper-than-needed re-pricing for the future path of hikes,” warned Berenberg’s Pickering. Still, other financial analysts don’t see a rate rise happening at any time in the next year. Gieve noted that the U.K.’s expansionary monetary policy was part of a worldwide phenomenon that included the Federal Reserve, the European Central Bank (ECB) and the Bank of Japan in the years following the 2008 financial crisis. “Now, with most of the world beginning to pick up in growth, we can see that starting to tighten in the Fed and in the ECB, and I expect we’ll be part of that group,” he said.